Call now. Our experts are waiting for you. Get a custom solution for your exact needs. No competitor can beat our price or value! 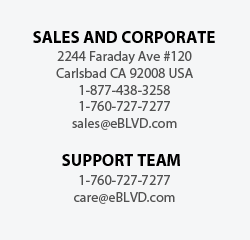 We use your data for one purpose only: corresponding with you about eBLVD. That's it. Fill out this form and we'll get back to you as soon as humanly possible. This is the email address you would like us to reply to, and it won't be used for spam. 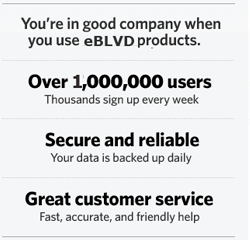 If your are an existing eBLVD customer, enter your eBLVD Username.